November 5, 2013: Dave has written a book! 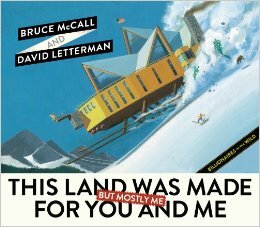 It's This Land Was Made for You and Me (But Mostly Me): Billionaires in the Wild, with Bruce McCall. Its release date is November 5. See reviews in The New Yorker and The New York Times, then buy it from Amazon. Be sure to watch Bruce's Nov. 5 interview with Dave. 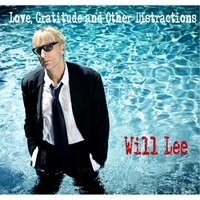 August 24, 2013: Do you have "Love, Gratitude and Other Distractions" from Will Lee? It's available from CD Baby. Check out the video for "Fooled Him." March 11, 2013: Alan Kalter has a fun and interesting lecture on Demodex mites. 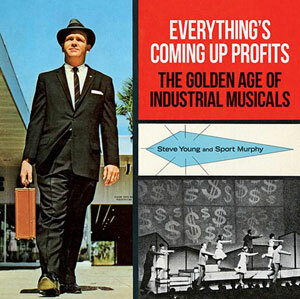 February 6, 2013: Late Show writer and CEO of CelebriGum Steve Young is the author of a new book about musicals commissioned by businesses from c. 1950 - 1980. Learn more at industrialmusicals.com. Steve continues to add musicals to the web site. Keep up on Twitter. Order from Amazon. Febuary 6, 2013: Steve Young was interviewed on NPR on Nov. 5 about his book, Everything's Coming Up Profits. Here's the link to right-click and download the .mp3. Read NPR's background story here. December 17, 2011: Cycle for Survival helps fund research at the Memorial Sloan Kettering Cancer Center. The Late Show is promoting this to honor Dave's make-up artist for 19 years and 3,800 episodes, Michele O'Callaghan, who lost her battle on 12/16/11. Learn more via this message from Tommy Togneri, Michele's husband, or go straight to the donation page.